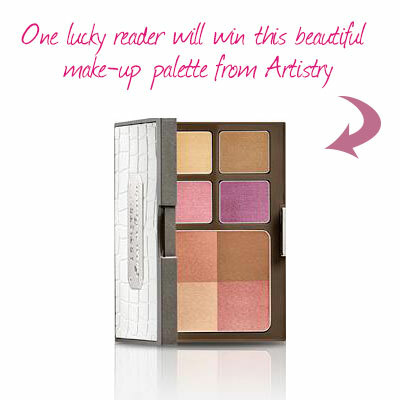 In today’s Friday Freebie, we’re giving away a beautiful face and eye palette from Artistry. This gorgeous Escape to Paradise palette in #Beachfront lights up the eyelids and gives cheekbones a shimmery glow. Plus, it comes in a pretty pouch along with application tools.